Fueled by data from recent data breaches, sleeper fraud is expanding its impact on financial institutions. It’s difficult to detect until it causes costly damage. How can you defend your business? 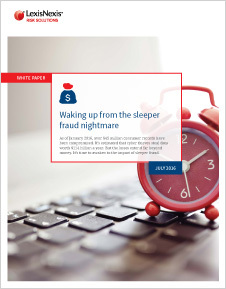 Download our whitepaper for in-depth details into this growing problem and strategies to identify the signs of sleeper fraud. Request a call from your sales consultant.